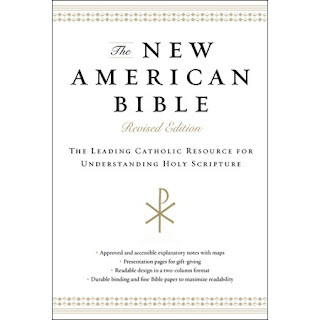 The New American Bible revised edition is more than a mere Bible translation. 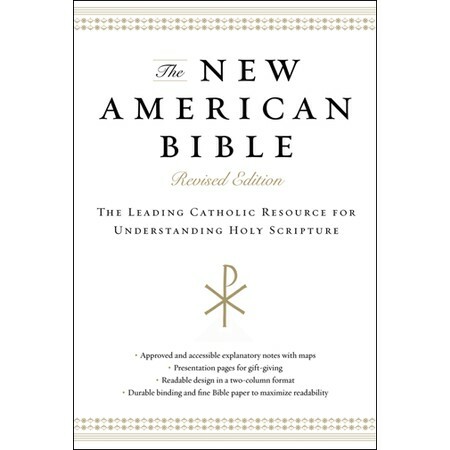 Authorized by the Confraternity of Christian Doctrine and approved by the United States Conference of Catholic Bishops, the New American Bible seeks to provide the best resource for understanding the church's sacred Scripture. To begin with, the translation beautifully and accurately conveys the word of God in English, using the most recent scholarly resources available and translating directly from the original languages. While the Bible plays a central role in the church's life, it is also important to remember that it is an ancient book written over several centuries. It carries a rich tradition of interpretation over even more centuries. *Each book of the Bible begins with an introduction, providing the historical context of the work, its literary style, its main themes, its use in the history of the church, as well as an outline of the contents. *As you read the Scriptures, notes have been provided at the bottom of the page offering explanations for particular passages, terms, and concepts. *Since Scripture often refers to itself, a system of cross-references are provided so you can see where else historical figures, particular stories, or similar concepts are also treated in the Bible. *At the end of the Bible, sixteen pages of color maps are provided to help orient the Bible's stories in their geographical context. As far as I can tell, the NABRE is set to rule the future of English Catholic Bible translations. There really aren't any competitors when it comes to the diversity and sheer amount of resources and editions for this text. The footnotes and introductions used to disconcert me quite a bit, but now I've grown fond of them; even when I find myself in disagreement with the commentary, it still offers useful and insightful historical information. I think the New Evangelization should contain a concerted effort against Biblical fundamentalism. After watching my best friend's Evangelical faith crumble because of a pernicious literalism that could not withstand even the slightest exposure to higher criticism, I feel it is important that every Catholic be familiar with critical theories from a young age and know how to handle them constructively. Our faith does not require an inerrant Bible, and we must explain why. I can't think of a better resource than the NABRE for doing so. Right now I'm using the St. Benedict's Press Ultra-soft cover version. It's a nice little Bible except the text tends to run into the gutter a bit more than I can tolerate. Oxford seems to currently have the best two-column NABRE textblock on the market - yet, the standard, non-large-print Bible does not appear to be available in any sort of leather, genuine or otherwise. Hopefully Harper will use a better textblock, something more akin to the Oxfords. And hopefully ghosting will not be too much of a problem. Many people in the past have found Harper's paper quality slightly questionable. I am surprised that Oxford hasn't published the NABRE in a readers edition, like they did with the NAB and RSV-CE. Besides the study Bibles, there only seems to be the large-print and compact editions. out of the theme of this post. I am interested in praying in a group, like the rosary or the liturgy of the hours, daily, using the computer, because I cannot leave my house at early in the mornings, and late in the evenings, because I have to take care of some things. Is there a place in the web who practice the rosary or the liturgy of the hours, live, with other people? Hope you have some traffic from the positive review I gave you in my post today.
" the NABRE is set to rule the future of English Catholic Bible translations" Perhaps in the American part of the English speaking world however in the rest of the English speaking world the NRSV is still doing well and comes with an extensive number of editions and resources. Notable is my own country Canada, which while greatly influenced by our American cousins, where the adapted form of the NRSV is the translation officially approved for Liturgy. I know this influenced my own recent decision to focus on it. The rest of your comment I agree with having moved from literalistic biblical fundamentalism as a Protestant minister to Catholic convert where I found a not entirely dissimilar Catholic version of a biblical fundamentalism. "Our faith does not require an inerrant Bible, and we must explain why." Yes. I am thrilled to find Catholics excited about reading the bible but have caution against reading it in a prof-text way. I was in a discussion yesterday trying to convey the importance of the Magesterium in bringing guidance to interpretation. I have the HarperOne Go Anywhere Thinline NRSV, same dimensions noted above in a two column set-up that is pleasing to the eye and easy to read. Even the inset passages of poetry flow well. The font is 9pt which the NABRE may not be in order to accommodate notes and remain 'thinline' (1 inch thick). I have the same St. Benedict's Press RSVCE that you note and find the textblock set-up in the NRSV I mentioned much easier to read. End of the story is, I read it. "Our faith does not require an inerrant Bible, and we must explain why. I can't think of a better resource than the NABRE for doing so." how do you define "inerrant Bible"? I don't think anybody is a complete Bible literalist. Nobodoy thinks Job really existed. At least, beleiving in his existence is not an article of faith. But, can I think Jesus did not exist, and still be a catholic, in any meaningful sense of the word?. Can I believe he did not raise from the death?. Can I believe his Resurrection was a later redaction by pious communities, that tried to convey what they felt in they hearts, by means of a myth?. Is it licit to do what most catholics bibles do in their notes, that is, to deny miracle on principle?. They say: "this was written in the year of the fall of Babylon, because it predicts its fall". Does it makes sense?. Shouldn't I allow for a Profet, of all people, once in a while, to make a profecy?. What is the minimun of inerrancy, if any, a Bible should have, for a catholic?.